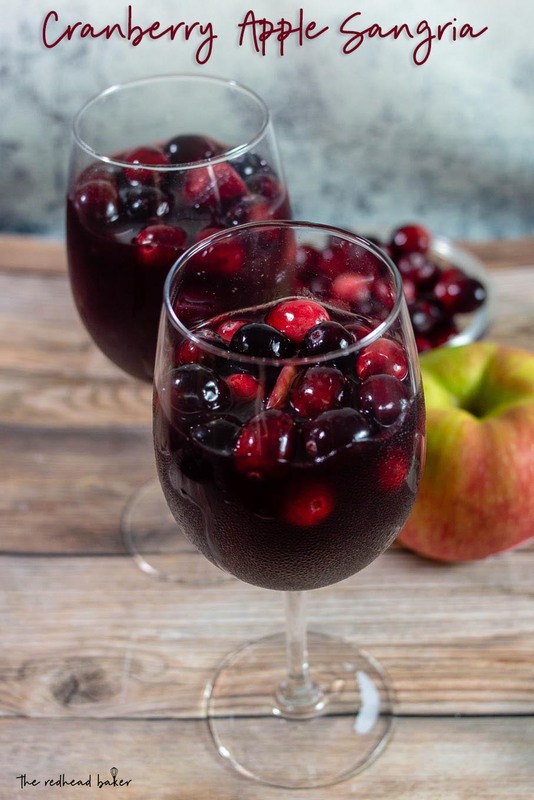 Cranberry-apple sangria is a great cool-weather drink, perfect for holidays like Thanksgiving and Christmas. The flavors of apple, cranberry and cinnamon pair well with the full-bodied shiraz. 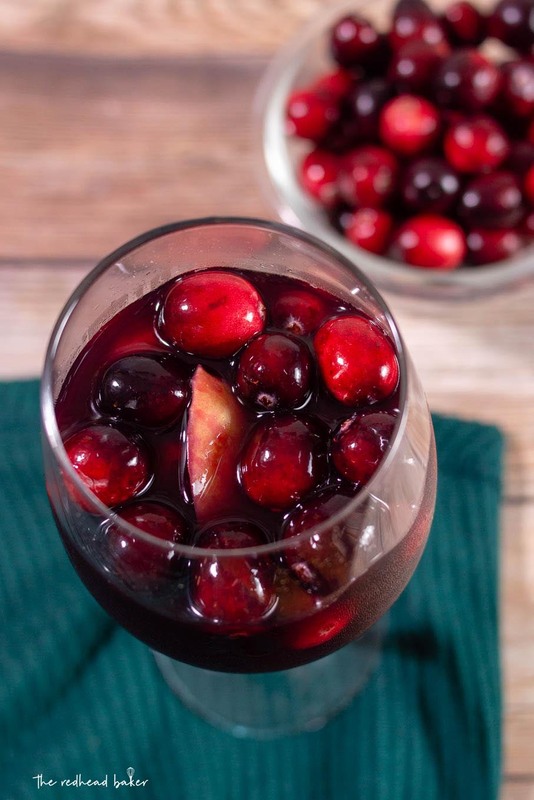 Moving along in Cranberry Week, I’m sharing a sangria recipe that would be perfect for the cold-weather holidays like Thanksgiving, Christmas or New Years. The base is a full-bodied shiraz red wine, the darkest of the red wines. The flavoring comes from sliced honeycrisp apples, fresh cranberries, and cinnamon sticks. I love adding cinnamon sticks to fall-ish/winter-ish sangrias. I love the subtle spice it adds to the cocktail. I want to note, before I go on, that I call it “Shiraz,” but it is also known as “Syrah.” They’re the same thing. It’s a very tannin-heavy red wine (which means lots of antioxidants! ), and many of the brands available have notes of berries, which is why I chose this variety for this cranberry-based sangria. 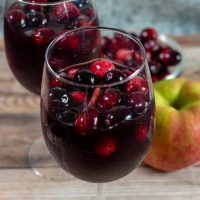 I love making sangria for parties and holiday dinners because it’s so easy to make a large batch. And because sangria is best when it’s had some time to chill, it’s ideal for making in advance. This is a really smooth cocktail for sipping. 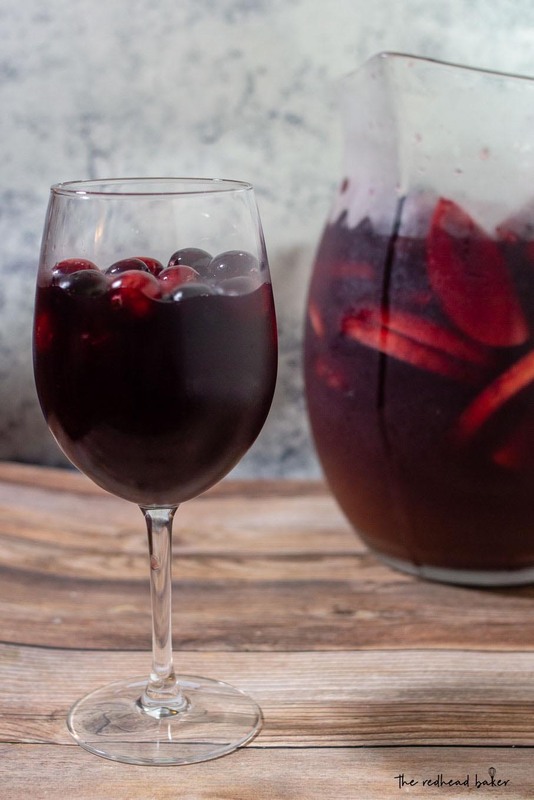 I really enjoyed this sangria, and I am positive that it will be making repeat appearances in my home in the autumn and winter months to come. I might vary it by using apple brandy instead of regular brandy. I hope you’re enjoying Cranberry Week so far, and we still have more cranberry recipes to come in the next few days! Place the cinnamon sticks, apples, and cranberries in a large pitcher. Add the wine, apple cider, cranberry juice, bourbon and lemon juice, and stir well. Place in the refrigerator for 8-24 hours. Sangria is always a welcome addition. 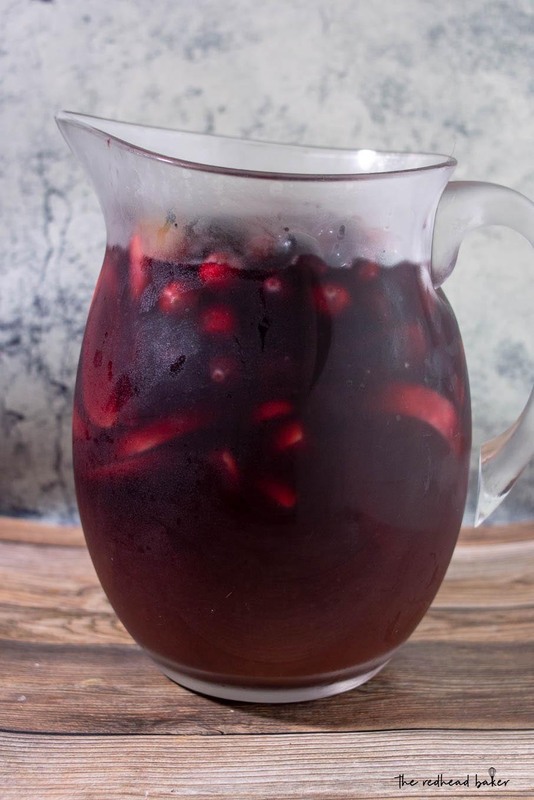 Sangria is a favorite and this is great for this time of year.